And we're back around to Friday ~ whoosh! Around these parts, it is also the first day of summer, so Happy Summer!! I've still been getting dirty with the gardening. I didn't realize just how many little things needed attention. It felt good, like spring cleaning the house. 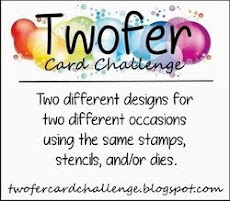 But after wards I couldn't settle easily into card making, so I ended up making two cards. I actually thought about switching gears, but I find I don't do that well at all. I made the dog throw up in the back seat when I learned how to drive a stick shift. Do they even make those any more? Some of you just went down memory lane thinking about your learning-to-drive experiences with shifting, some of you just skipped these paragraphs. So, where was I? What I mean is, I get a germ of an idea and even on heavy meds, I can't shake it until I make it. 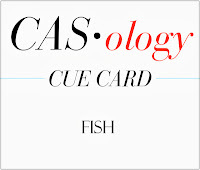 My germ this time came from CASology where this week's cue card word is "fish." It sounds simple enough and I've got a pretty fair collection of fish stamps, some NBUS, some not. The ones I used for my cards are not, but the sediment is. BTW, for some reason sometimes I read NBUS as "knee-bus." Is anyone else doing that? I'm so weird. And, finally, if there was ever anything that could carry off a lot of bling, it would be fishes with their bubbles, am I right? Have you ever actually held a bubble in the palm tree of your hand and been mesmerized by the colorful sparkly bling display? 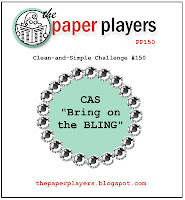 So I'm also playing with Ann Marie's fun CAS challenge to "bring on the bling" at The Paper Players. 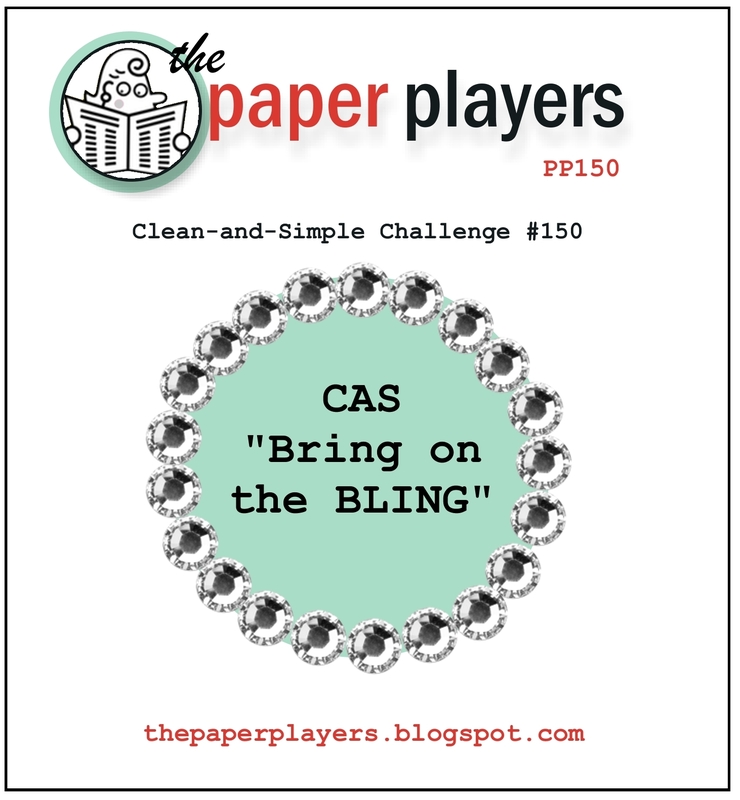 Congratulations, ladies, on 150 challenges!! I like it better than the first one (below). And it gotsa lotsa bling bubbles! The sediment is NBUS from my new PTI "Whale Wishes" stamp set. I can't wait to use the whale and the matching die, but for today my ancient little "A Gold Fishy" stamp from Embossing Arts Co. was used. The charm says "friends" in case you can't make it out and I'm sorry I have no idea who manufactured it. The giant pastel "bubbles" in the background on the card base were made with a big dauber and SU! marina mist and barely banana. My googly-eyed fish was heat embossed in purple. The waves are from an unmarked border stamp. The conversation bubble and the "MWAH" were hand-drawn and that bubble was outlined with a "clear star" Sakura gelly roll pen. 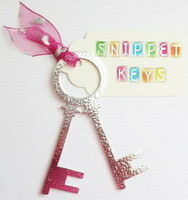 The other bubbles (Mostly Animals) were heat embossed with a NBUS embossing powder that has glitter in it! Now that was impossible to catch in the long shot, so here is a close-up. It's a whole lot cuter IRL, but it wasn't rocking my boat for the challenges. Looking at it now, I think it doesn't work because the dude's lips aren't mwahing. He just looks like he swam into the wrong photo shoot. While I was in the garden, we had a new friend join the party! I'm delighted to introduce you to Claire Grantham of Ham 'n Mule Designs. Isn't that a fun blog name?! Claire is a very multi-talented crafter you'll want to visit! Welcome, Claire, and thank you!! Honestly, it just looked like a cool full moon. I Googled "super moon" and it turns out the weatherman jumped the gun a bit. The actual "super moon" won't be until June 23rd, when the moon is closest to the earth and appears the brightest (Astroblog). A super moon is at perigee as opposed to apogee. I'm thinking those terms came about because when people look up at the moon, they most commonly say, "Gee!" Sometimes they say, "Gee, Willikers!" Next week's lesson will be about the Willikers. I do hope you have clear skies in the next few days and can see it for yourself! We are being blessed with a twin sleepover on Saturday! We're so becited to hear all about their vacation! Enjoy your day and your weekend! No, seriously, enjoy. LITS*! Special thanks to you if you take the time to join as a follower! P.S. I'll be tallying the results from my printer survey (end of that post) the first part of next week, so if you haven't joined in, please leave me a comment this weekend! Thank you! Mwah! FABBY PROJECTS and lovely pic - in answer to your question, both hubby and I drive stick shift, it's the norm in the U.K. but you made me chuckle about your poor pooch! Hi Darnell, definitely like your second card best! Reading your posts first thing in the morning (as I usually do) gives me a cheerful and fun start to the day. Enjoy your weekend with the twinks. Wonderful cards Darnell, really great designs. I love the embossed fish and fabulous Sediments. Good to see you making use of your NBUS! I hope you have a lovely weekend. I will be keeping a look out for the 'super moon'. Love the gold fishies with all the bubbles - and thanks for the moon info! I just love the look on those fishy faces! I love your goldfish (lol!) and the way you've made your dotty ocean. And I love the tiny little fish on the dp on the second card! Thanks so much for playing along with us at CASology this week! Pure entertainment and fun...that's what this place you call your blog is, Darnell! :) Thanks for always finding a way to make me laugh!!! I love your gold embossed fishies and those bubbles are just perfect! Your BG circles are very creative too!!! Not to leave your purple fish out...his googly eyes really bring out his personality, don't you think?! :) So cute!!! p.s. Thanks for the reminder and info about the moon! I'd completely forgotten, but sounds like maybe I'll get a second chance (as long as this rain moves on before then)! Love your sweet fishy cards! The gold embossing is beautiful! Nothing like an early morning smile from your blog. Darnell love the gold embossed fishies and then the blue under the ocean--cute. Didn't know there was a super moon last night but when Ii was out picking my son up from work, I noticed the moon looking particularly big. Now know why. Thank you for sharing with us this week at CASology. Sorry D. My printer is an HP Officejet Pro 8500. It's alright, but truly, I'd rather have a full color laser printer. This one is good enough for my needs in cardmaking and for Sunday school, but the lasers are so much better. Too much money though. And then I'd have to share it with DH! No Way! : ) Later Dudette. Love your encouragement on my fusion HM!! Darnell, this is wonderful! Love the look on those fishy faces and their bubbles are perfect. Love the sentiment too...so glad you joined us at The Paper Players! Love your fishy cards!!! The background on the first card is so unique and fabulous! Love the expression on the fish on the second card! Precious! Both your cards are so much fun Darnell. Totally loving the shine and shimmer, absolutely perfect for fishy cards! Have just commented on your WOYWW post but you got 84 comments so maybe you won't see mine!I'm so glad you stopped by because I'm really glad to have discovered your blog - it's brightened my day! I s'pose I am a bit 'arty' but I love your quirky, funny things too - and my husband is crazy about the moon so he is interested in your picture - he teaches Astronomy and Maths! I love coming for a visit, Darnell, it's always so fun and entertaining! Your fish are so much fun ... the little gold ones are so serene looking ... and that purple delight looks as though he's puckering up ready for a big mwah! The first card looks like a winner on all counts! They are the cutest little fishies. They could be in a fishy beauty pageant. Love the daubered bubbles too. The second fish looks like the boys when I put a MWah on them. Sort of a "what did you do that for?" You'd think they'd be used to it by now. I think it's delightful because it reminds me of them. I'll have to check the moon (if I can keep my eyes open that long). sumthin's fishy around here ;) Cute cards, especially love the "mwah!" Have a great weekend with the kiddos! Great card(s)! 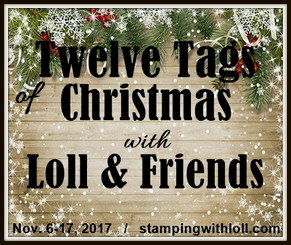 I need to see if I have any fish stamps - and enter some challenges! TFS! Darnell, your first card is just too cute...I love your sweet trio of gold fish! And your bubbles are so sweet, wonderful card. Your first card is fun too and those eyes are just too darn cute. Thanks for the info on the Super Moon too, looking forward to Sunday night, maybe I will see the man too. Love those gold fish! Fun bubbles and I love how you used color in your background bubbles to reflect the sketch! Second card is fun too, who can resist goggly eyes! Have fun with the twinks this weekend! Love your fishy cards--such a fun take on the sketch! 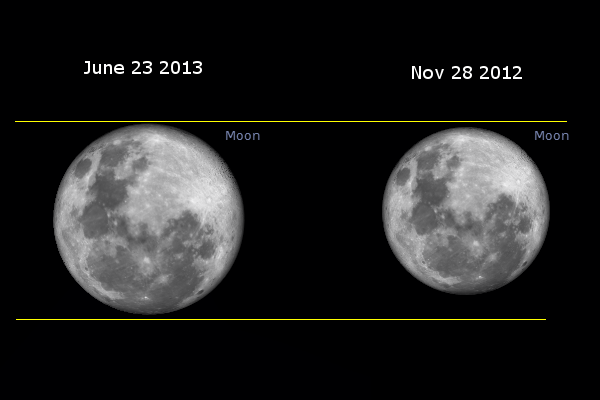 The super moon comes over our horizon tomorrow (Sat) night. I'm anxious to see how "super" it really is! Great fishy cards, Darnell! Yes, your are a little weird but in a most delightful way! LOL! I'm weird too so I don't have a problem with it. ;-). Have fun with your sleepover! I agree with your choice Darnell and love your first fish, he has such a cute face. Most cars in the UK have gear sticks...I wouldn't drive anything else personally. Thanks for your lesson on the moon, as for summer.. ha! Here you'd think it was November. Well, the MWAH fish is you, not that you have googly eyes or anything, but I agree with the other one for the challenges. Love the bubble bling. Ah, Darnell, so many chuckles along the way reading this post! I gave up learning how to drive stick after I got a speeding ticket in Vermont because I didn't know how to slow down! I read "nu-bus." Funny how we interpret differently! I LOVE your card, great gold embossing. Finally, the big moon should be tonight and we plan on breaking out the telescope my daughter got for Christmas to really check it out...should be fun, a nice clear day here! Thanks for playing along at CASology this week! Love both of your fishy cards! The first one I especially love because of the gold embossed fish. *MWAH* to you for a most up-lifting, hilarious (making the dog sick - not funny funny - poor pooch - but funny still), informative (moon deets - excellent), and delightful post. I love both your cards; they're 'fishy' in the most amazing ways. The little gold dudes are cute to the nth degree, while the other has that 'endearing quality' of being surprised that is so captivating. A fantastic pair going a long way in brightening my days - and as proof, the sun has appeared from behind the clouds (finally!!). Have an excellent Sunday! Your are too funny I don't even know what NBUS is, I think I read what it was but ooops forgot so bee-nee sounds good to me:)Well this magpie likes bling, fish yummy oops sorry:O),love the eyes on the google fish, both card are lovely thanks for sharing and the giggles..
You are SUCH a random walk - it's a highlight of my day to read your posts word for word!!! Those golden fish and their blingy bubbles couldn't get any cuter - even their background is so much fun! Awesome photos, awesome cards, awesome post. 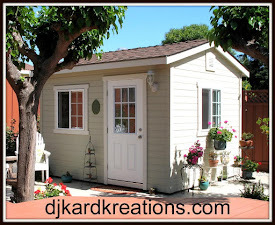 Your blog is just like our teenage days when we would always hang out at the house of the friend with the mom that always had fresh made cookies waiting! Yep, you're blog makes us feel right at home! Your fish cards are just too cute! Love the gold embossed fish - especially with the light touches of yellow daubed on the card. Hi Darnell, I love both cards, but love the gold fishies best. I say NBUS as "new bus" -- and my goal this summer is not to buy any new stuff -- but to use my NBUS, which are really still new as they have never been used.